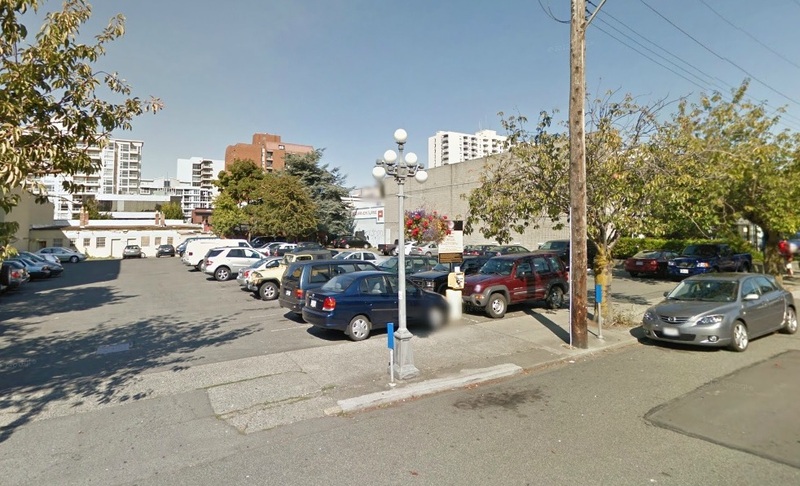 David Chard appears unwilling to take a breather, and even less inclined to pass on opportunities in the Victoria real estate market, as the developer is on the cusp of closing a deal to buy 818, 836 and 838 Broughton St. and an adjacent empty lot. “It’s the parking lot to the east that we are interested in getting a rezoning done and develop a condo project on that site,” he said, noting it’s too early to say how large the building would be and how many units it will have. It has been "too early" to reveal any major details for many months now. I wonder why they're so quiet about this project. I wonder why they're so quiet about this project. Presumably the purchase price is still being negotiated. If the seller knew the planned density that would be advantageous for him. No doubt (I think a fair rule of thumb for some projects is: every 10% increase in 'density'/developed square footage allowed, just about doubles the net profit). Developers just don't seem to mind waiting out current councils when there's only the expense of maintaining bare land. Acting too soon or appearing 'too eager' might be missing out on the large payoff of getting even more dense zoning concessions from the current or next council. ps. Even decades might not be too long a pause (consider the View Towers neighbouring vacant lot: going well past two decades of on again / off again discussions on that one and the View Towers' owner appears not at all anxious to get on with it in the present conservative development 'climate'). Aren't the office building and the parking lot being sold for a market price? I mean unless Black wants to rezone the property himself and sell Chard something he can build on immediately then future land use or options shouldn't weigh into the equation. Black is probably smart to sell the building now while he can remain the primary tenant and sweeten the deal for Chard, so to speak. But quite honestly how many more years do his printed papers have left? Monday Magazine once had an army of writers and staff, and now there is only a token amount of individuals responsible for what has become a monthly publication. I would also assume that Victoria News employs fewer writers and support staff than it did 15 years ago. ^ Interesting! I would love to see something happen. It seemed to me that the plan was for the adjoining lot to be redeveloped and then the current office rehabbed. I could be wrong though. Linear Thinker brought to our attention the Planning and Land Use Committee report on Chard's Black Press project on Broughton Street. 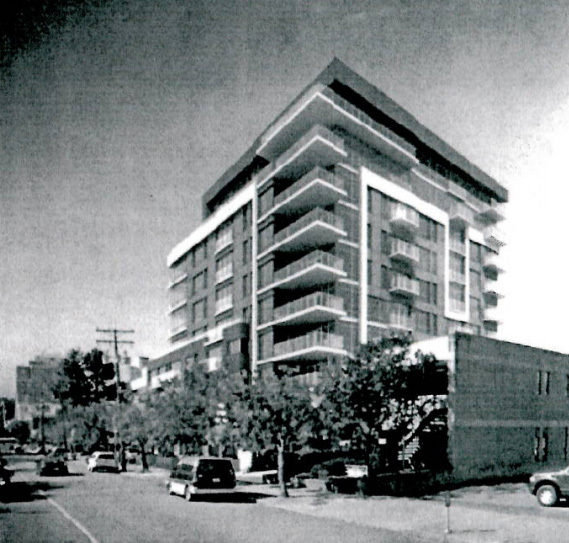 What is proposed is a 29.9 meter mixed-use residential and commercial building standing 10 floors tall. 82 residential units are planned with two commercial or live/work units on the ground floor. Architect is Musson Cattell Mackey, same architect as Chard's other projects (save for the 4-storey Duet component designed by de Hoog Kierulf). Just the other day I was walking by this lot and started complaining that it's been a parking lot for so long and I'd love to see something done with it. Looks like an OK design but seriously they haven't released anything other than a scan of a cheap photocopy? Also this is just a block from me. Wonder if I'll get an official notice and the ability to officially support it. Edited by Baro, 19 February 2014 - 02:33 PM. God this is going to be a fight. As this is technically within the boundaries of Fairfield I cannot imagine it will be kept to 10 storeys. Even though it really should be at least 14 in this area anyways. I wonder if we can petition the city to force the developer to go higher? Yes, it is Fairfield but recently their politburo has been indifferent to projects on the border with Downtown so it might not get much resistance. I think they've given in to the fact that this site is essentially "downtown" even if it's really Fairfield. The design doesn't make my heart jump but it'll do. Fairfield or not, 10 floors is a disappointment height wise. Good to see that Chard still believes in developing in Victoria though. Edited by jonny, 19 February 2014 - 02:53 PM. Alloted height is 32.9 meters according to the PDF. Or am I reading that wrong? The design doesn't make my heart jump but it'll do. How is this Fairfield? We need to re-draw the neighbourhood borders so things make more sense. If it's pay parking and 0-setback buildings it's downtown. The typical fairfield resident and their concerns have absolutely nothing to do with the issues and concerns of this area, it makes no sense. Also this building looks ok, reminds me of his last building just shrunk down. Very tiny 'entry level' units or what ever they're marketed as. Not a big fan of how recessed the main entry is, just makes the parking ramp that much more of a cavern. Existing view of the site. Really dislike that ground floor. It just seems very short and very bland, too. In the report planners have identified the groundfloor as an aspect of the design that needs to be tweaked. Now would be a good time to write the planning department/council with feedback.